Ever since I decided to subscribe to SFS, I have been very happy with the services and I have recommended you to many people I have worked with, who didn't realise you are out there. Keep up the good work! StuckForStaff.com provides the leading resource for the Promotions & Field Marketing industry. 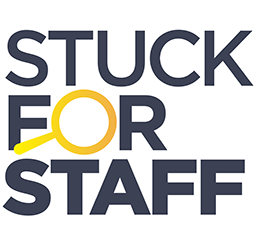 Whether you are a Client / Brand looking for an Agency to supply you with Promotional or Field Marketing Staff, an Agency interested in recruiting Promotional Staff or hearing of new business, or Staff looking for more Promotion work, StuckForStaff.com can help. StuckForStaff helps bring new business to the Promotions Industry which finally means more Promotional Work for staff? StuckForStaff largely increases your chances of getting Promo work and thus helping you develop success within the Promotions Industry. StuckForStaff allows you to update your availability online - this is viewed by over 400 Promotional Work Agencies nationwide who all have available Promotions work. Whether it is Promotions Work London, Promotions Work Scotland or Promotions Work UK, StuckForStaff offers a solution! Agencies who have work in Promotions can utilise the services offered by StuckForStaff.com in the search for new Promotional Staff - use the central database and other services to either help develop and enhance your own database or to simply book Promotional Staff in lastminute situations. In addition to that StuckForStaff also provides a lead generation service which puts you, 'The Agency' in touch with clients direct.